I keep finding cute pendants﻿ like this on Etsy. And as any artist can attest to I will look at something and refuse to buy it because I think "I can totally make that." Most of the time I don't ever follow through and then I'll just wish I had gotten it in the first place. But this time I actually did follow through! I seriously can't believe how easy these are to make. But again, for any jewelry project, having the right tools makes a huge difference. The right tools aren't cheap either. 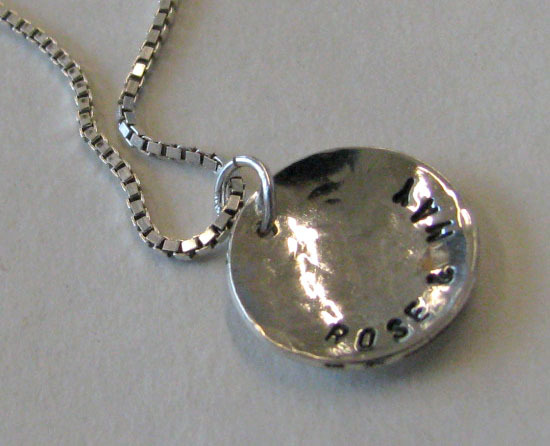 So I made this little pendant with my daughters names on it and put it on a chain I had from another necklace. Voila! 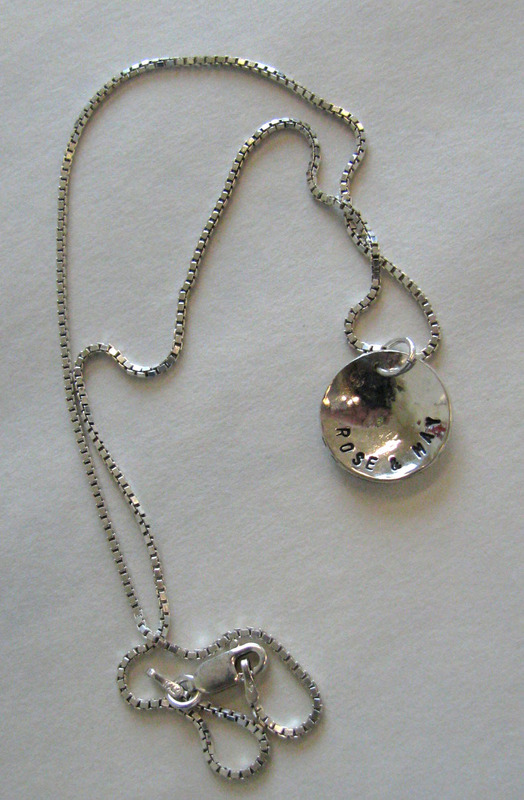 Instant jewelry...that I will actually wear. I've already had requests from others to make one for them too. Just another thing that makes me think I really need to sell art online! Well done! It's lovely! We have many Roses in our family. My husband and I really couldn't agree on names so we went with family names. I like them because they aren't very popular but they aren't unusual weird. And I think selling stuff will happen eventually. I need to make more artwork though! What a lovely idea! And yes, hello talented lady, you should be selling online! Thanks Kerri! You always brighten my day! So sweet! How did you do it? Sure did! 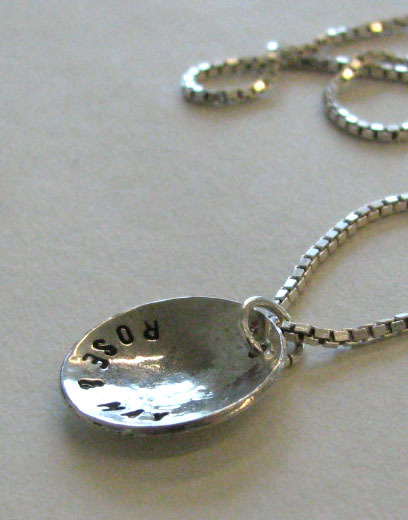 Stamped, hammered, domed, a little liver of sulphur to darken the letters, and polished. I ordered new letter stamps for the school and I just had to try them out! these are so lovely and simple...well done! not only that but your photography is totally enhancing.